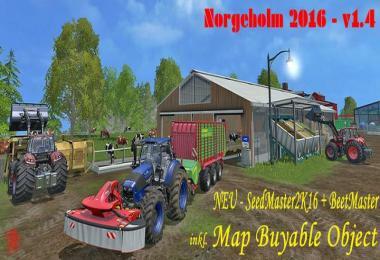 SeedMaster 2K16, new BeetMaster, Performance Improvement - File size of the map reduced by approximately 24 MB. Bug fixes:.. Straw bales in horse breeding, lighting Scheitelholz- u Biofutter Factory, collision Scheitelholz- & charcoal factory, typo MOB description. converted SeedMaster2K16 of Fertilizer manure, BGA 1 Bunker capacity increased to 200,000, SoilMod Version 2.2.3. NEW - silos = Allen silos were now assigned unique names in MOH HUD. 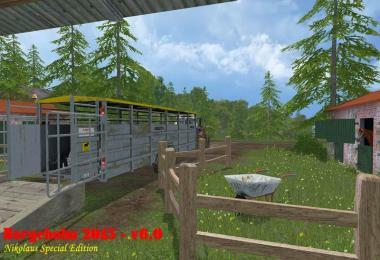 Bugfixes: Sschwebender tree Pferdezucht, particle system logs-Input Trigger the sawmills, the prices at Dedi in MOH HUD Best prices fixed (fattening animals, slurry, manure, grass / hay and straw), Reed away in two places, Abtankschlauch (OverloadPipe) in broiler and rabbit breeding adjusted. 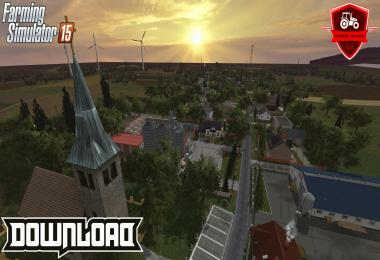 * Slight improvement in performance, thereby more stable and slightly higher FPS. 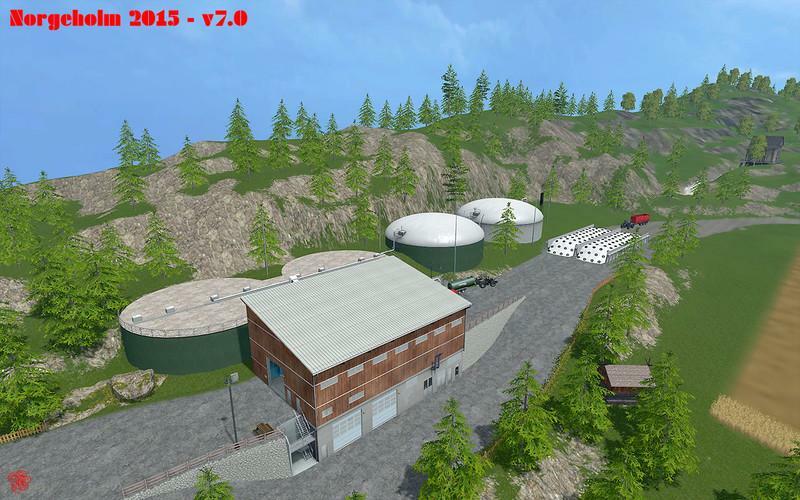 Multi Fruit Map with weed-Mod, Multi-fertilizer, fertilizer trade, porcine, bovine u. Broiler, green manure, SeedMaster, GülleMistKalk, manure storage, Riding, EDEKA, composting, WaterMod, ChoppedStraw, Display Overview, Real Time, bale, Komposterde- , straw, grass / hay, mixed feed, silage u. seed Vault, butchers, sheepfold, wool-shed etc. 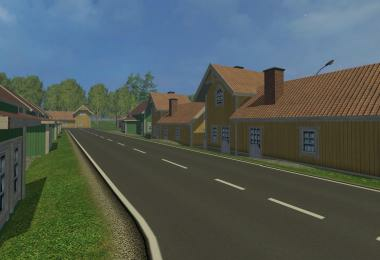 Special emphasis was placed in the design of the map that all fields are maintained as in the original default map. Thus, in Section 24 was only a small strip and about 1/3 away at box 25 for the space requirements of fattening farms. It has also been taken to ensure that the envisaged by Giants atmosphere of a Scandinavian landscape does not go entirely lost. At the station the tracks were extended and the tunnel added. An old road bridge from a discarded construction project of the Government of Norge Holm leads over the railway tracks to the new manure dung-buying. 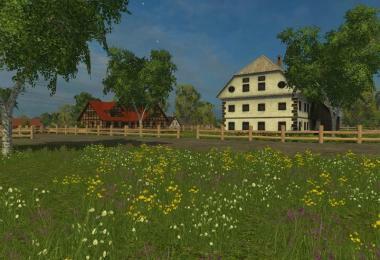 Cow and sheep pastures are now beside the granary, not far from the farm. At the old location of the cow pasture is a horse farm for the purchase of straw, grass / hay, oats and sugar beet. When former Schafweide a EDEKA market has emerged. Here pigs, cattle, slaughter chickens and potatoes can be sold. The map is prepared for the weed, BunkerSilosHud - GülleMistKalk-, the ChoppedStraw- and Greenfertilizer-Mod. For the weed, BunkerSilosHud-, GülleMistKalk- and ChoppedStraw mod only the appropriate zip files must be copied to the mod folder - Links are provided below to the mods in the Mod-recommendations. The Greenfertilizer-Mod (green manure-Mod) is completely installed and does not require any additional measures. * Straw yield during threshing of oats and rye increased - now corresponds to the yield of standard fruits. * Compost prices adjusted, resulting in a purchase and immediate sale is no longer profitable. NEW! Fliegl beetMaster100k for producing beet pulp! NEW! 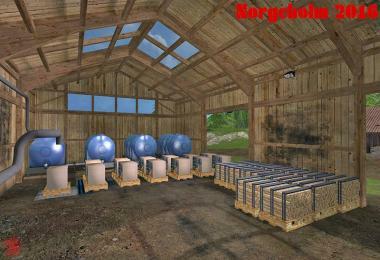 * Fliegl beetMaster100k for producing beet pulp. * Beet pulp installed as a new fruit on the map. * Right container of composting enlarged so the higher capacity to look more realistic. 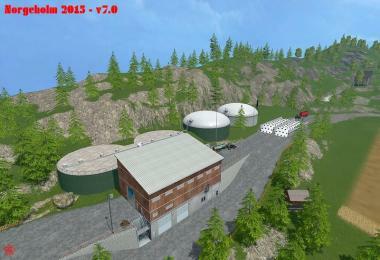 increased * Right container of composting, as well as larger trailers can now be loaded. 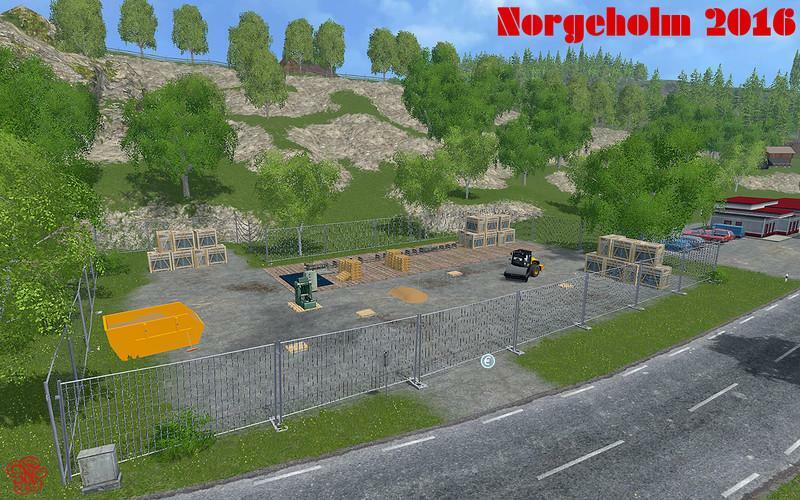 * Info trigger the composting increases, you need therefore for level information no longer visible to the cabinet, it is enough on the ramp to stand. 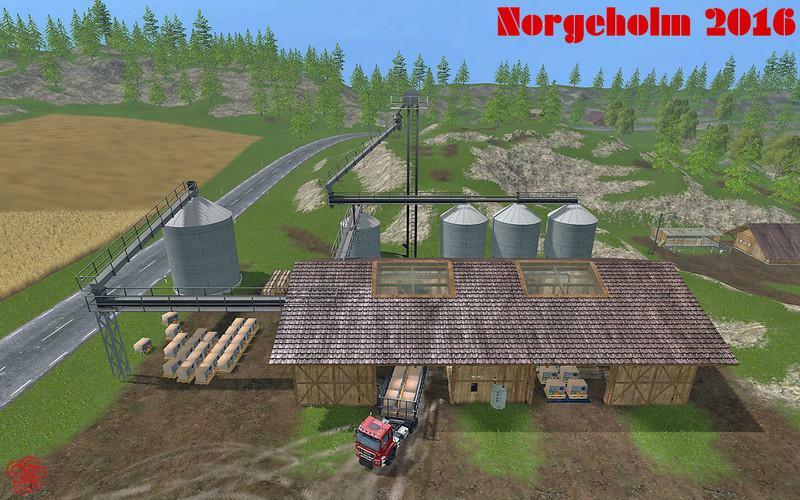 * Beet pulp warehouse with conveyor belt and adapted textures. For this, the old compost warehouse was used because it was superseded by the fertilizer silo. *** Too much filled bales can no longer or only with difficulty be taken out of the container, so please make prior to filling with bales to the current level. The Fliegl beetMaster100k located below the large food warehouse, as well as where the little shelter is. In order to produce sugar beet pulp, the Fliegl beetMaster100k must be filled with sugar beets. * Compost has now become compost. 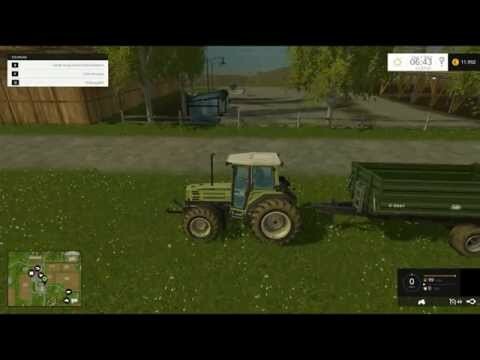 * If you run out where the new fertilizer trade has arisen weggrubbert the grass on the v.1.7 before the update, not making the score needs to be started. Otherwise grass grows from the places where it should not grow out and then this does not look nice. ** When compost fertilizer + 4 mod, there are still a small bug which to date, unfortunately, has not yet been fixed. When unloading of fertilizer not offload particle texture appears. Who bothers, simply remove them from the new GuelleMistMod the GMM_addon.lua. But after that you can not use the new kinds of fertilizer incl. Kalkdünner. 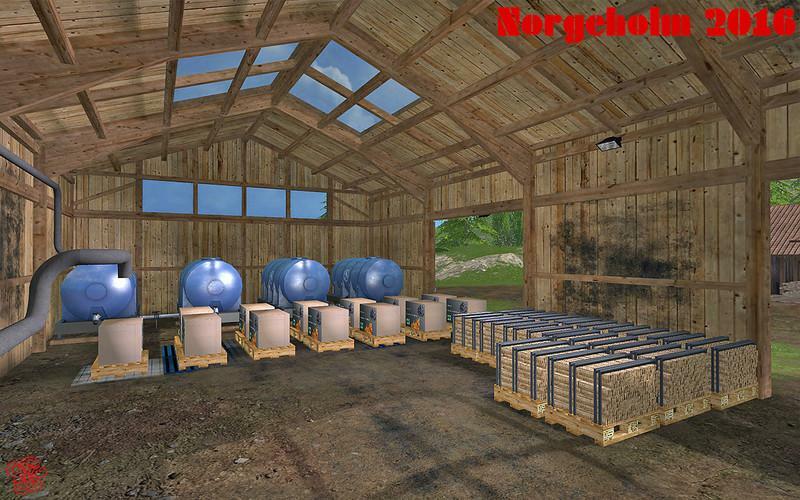 With version 1.7 of the trading of various types of fertilizer is now possible. This would compost, NPK fertilizer, phosphate fertilizer, potash fertilizer, lime and standard fertilizers in detail. Near the composting this a new fertilizer trade has emerged. There various types of fertilizer can be purchased conveniently up to about 60%. At the same time you can sell the fertilizer trade his compost. At the old location of SeedMaster2k15 a new multi-fertilizer silo was built. 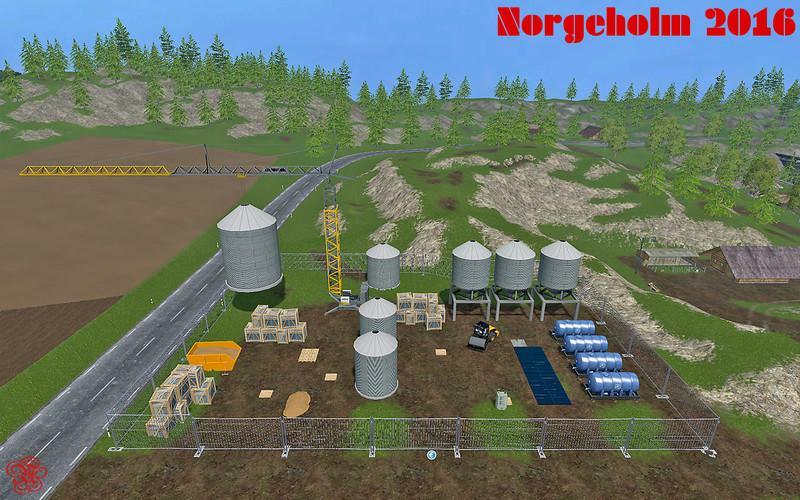 In the multi-fertilizer-Silo all purchased the fertilizer trade fertilizer types and produced from the composting compost can be stored. In addition, the multi-fertilizer silo serves as fertilizer sales outlet. One can here so also buy all kinds of fertilizer or make use of the stock for free. The SeedMaster2k15 now stands on the site where once the old lime silo stood. The old compost stock is first remained there, even if it is no longer necessary with the new multi-manure silo. * Unkrautmod: part white fixed. If a weed is destroyed, reducing now from a specific weed stage yields. the fertilizer texture (field is then unfertilised) also disappears from a specific weed stage. * Traffic Light Mod: Traffic lights (always all the traffic lights of the map at the same time), and saves the tremendous photographic evidence can now be removed and manually to the new switch boxes or be turned on. * At each traffic light a switch for V.G. added functions. * In the pig and cattle fattening the production of solid and liquid manure was doubled. In broiler production of manure was increased by approximately 67%. At every traffic light you can to the specially marked traffic light control boxes with the "Return" button, all lights on the Map on or off. With the key "," can store the photographic evidence unloaded or turned. When the F1 menu V.G. be Options also displayed in the area of ​​the traffic light control box trigger. * Oil mill with animated water wheel built for the purchase of rapeseed and sunflower. * Plane error silo broiler diets eliminated. * Textures for manure, manure, lime-Mod changed so that it looks more natural. * All traffic lights are now holding lines and pavement markings direction. Traffic light trigger slightly reduced, so that "curve Schneider" get less traffic tickets. * Remove Daytime Haze involved. Mod reduced daytime from 9 am to pm the haze. As have been made for the oil mill, the two small lakes and the stream, larger change on terrain, you should start a new game. Otherwise grass grows from the places where it should not grow out and this does not look nice. NEW! Traffic Light Mod with AI Traffic Control incl. Fines function! NEW! 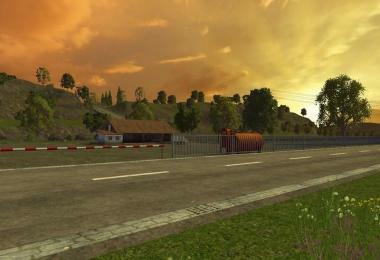 Traffic light-Mod with AI Traffic Control incl. Fine function. 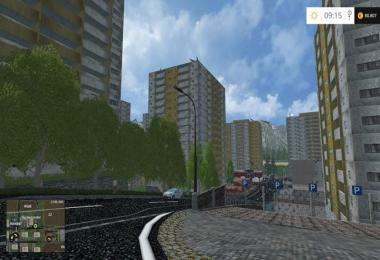 The traffic light Mod governs inter alia also the AI ​​traffic. If your self-drive through a red light, will cost a penalty which you will be deducted from your Cash. In addition, a photographic evidence is still shooting and stored as a screenshot in the screenshot folder. Between 22 pm and 6 °° °° o'clock the lights turn off and then show a yellow flashing light. * Sale prices of slaughter chickens increased. to call all functions and possibilities here would be a bit long. 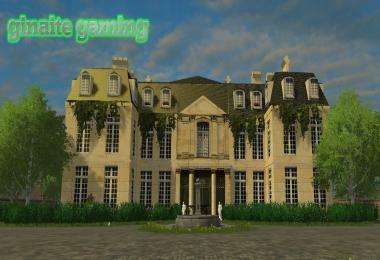 Just look at the link to the mod, everything there is described in great detail. Only one had told you. Resist the beginnings und keep your weeds grow over the head. ;) -> Http://www.modhoster.de/mods/multisprayer-herbizid-mod. * The new placement of WoolPaletteCollector there when unloading one flaw, which has now been corrected. 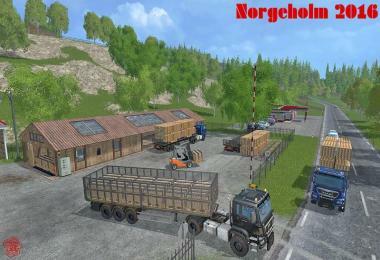 If wool pallets already possible on WoolPaletteCollector who vacate please before the update only - otherwise errors may occur. * New feed allocation in broiler diets, because it makes all the more sense. Since there is not much to say. 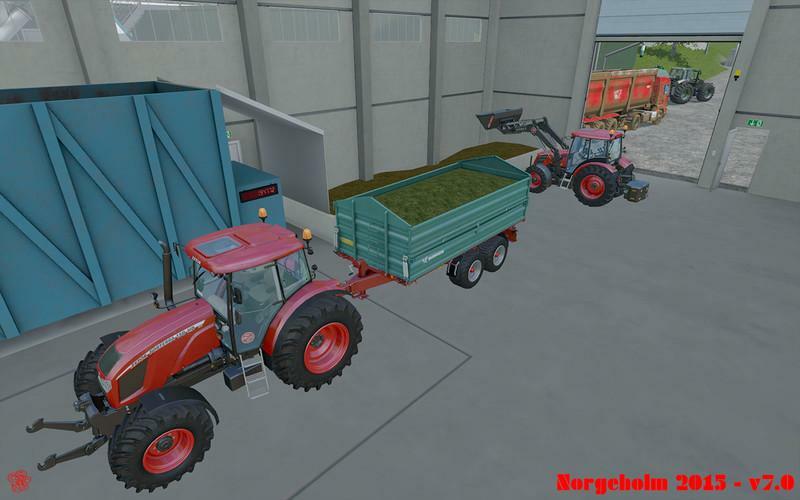 You can now produce mixed feed with the sugar beet or potatoes. Simply load the beets or potatoes with a shovel in the hopper and already captures the Beet cutter to produce mixed feed. 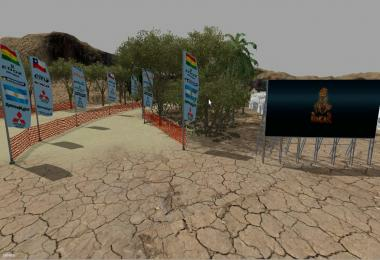 This works similarly to the mixing station, there is the same script of Marhu under the hood. It is currently not possible to charge the compound feed, it is automatically transported to the production in the feeding trough. Note: If your simultaneously used the placeable mixing station may i.a. at Live Scores is a failure. please If so, then replaces the LiveTicker.lua of the mixing station with that of the beet Schneider. * On request at the horse farm built new stables. * In all active lights the flare improved. When driven under the lights, the reflexes turn on the vehicles no longer abruptly from or to, but are slowly brighter or darker, giving a realistic impression. The chicken can be supplied with water. They are fed with root crops (potato, sugar beet). In the clamp can feed wheat, corn, barley, oats and rye. At the feed troughs you feed corn, wheat, barley, silage and compound feed. Is it in the barn in straw that produce chicken manure - but NO manure. The barn holds near the gate of a switch, with which you can open the glass roof. Open key O and key Z or Y (depending on what has been set for a language for the keyboard) to close. The button must be held, so do not touch just short. SeedMaster2k15 Preparation of treated seeds. Slurry storage: To store the manure from the cows, cattle and pigs. 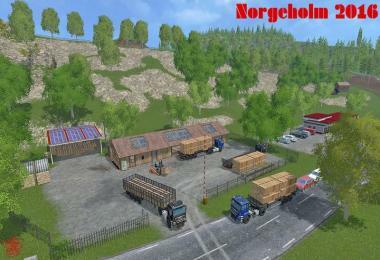 Display Overview: LS13 price stock display, modified for Norge Holm. Activation with the F9 key. Slurry Dung Purchase: Purchase of solid and liquid manure of cows, cattle, and pigs. 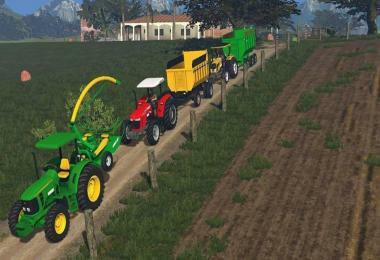 Riding: Purchase of straw, grass / hay, oats and sugar beet. Forgotten Landscape Plants Textures: Only over the texture of the rocks. Since demand via PM and have other possibly similar concern, just a few pointers. a) oats and rye with standard sowing can also sow wheat and barley. b) sunflower with standard sowing can sow the corn also. b) Sunflowers are harvested with the standard cutting for corn. In summary, oats and rye is treated by LS 15 as wheat, barley and canola. Sunflowers are handled by LS15 as corn. Alfalfa and clover as a fast-growing green plants can not be harvested, they are used as fertilizer. After the fruit ripens just drive over it with the cultivator or the direct seed, and the field is fertilized. To restore all things, except being things such as straw, grass and hay = loading wagons and manure = Liquid manure, you can use the normal or standard trucks, such as to present at the beginning of the game Brantner E8041. 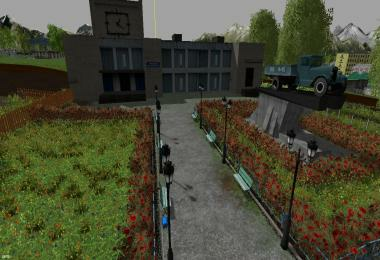 The map is thus constructed so that one can use the default device. Exceptions are water and milk, this one uses e.g. the Zunhammer of Marhu or Kotte Universal of Farmer_Andy - see links in the description. Water can of course with the standard water tank (Lizard - Mobile water tank) transport - can be found in the shop under miscellaneous. Seeds2 (dressed seed) can be loaded with any standard sowing. For this, just go under the SeedMaster2k15 or the seed stock. Assumes, of course, it was previously Seeds2 produced or stored. The SeedMaster2k15 easily filled with wheat, barley, canola, oats, rye and sunflower. Then just wait until the SeedMaster2k15 from dressed seed has produced. Tip: If you stick to the left side of SeedMaster2k15 where the display panel is, you can read the progress of the production of treated seeds in the F1 menu. It must ALL zip files that are included in the download, are copied to the mod folder, even if they are there already exists because the mods have been specially adapted for Map. If we make this not, errors can occur. 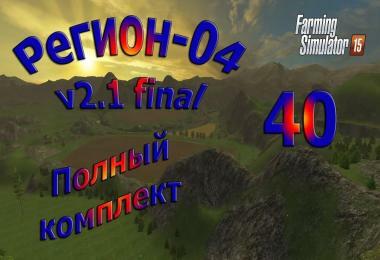 Please invite only one map in the mod folder because some scripts of certain maps when starting LS15 to be loaded, and so can cause errors. slt cmt on fait pour achter les batimments avec quelle mods.